New! Free Full Perm MESH Folded Tees Pack, Now Available to pick up at the front of the store for all of our in-world group members. 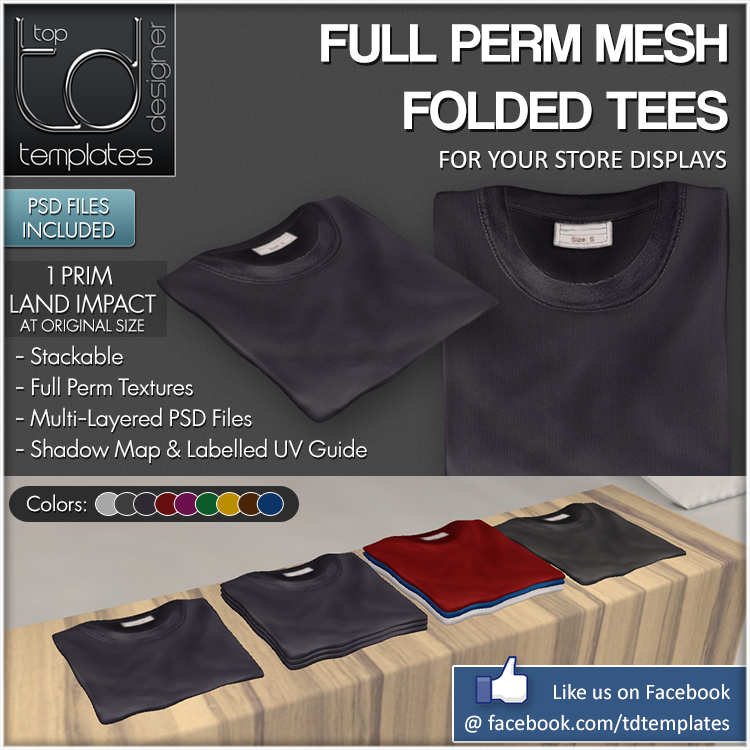 The folded tees can be used for display in your store. 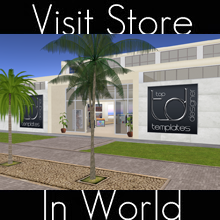 They come in multiple colors and include PSDs to customize in your graphics program.